Football Kenya Federation (FKF) are looking for a new national team head coach following the exit of Henri Michel, who had been in the post for only two months. James Nandwa, formerly Michel’s assistant, was appointed interim boss after the Frenchman’s departure. Nandwa led the Harambee Stars to the final of the CECAFA Senior Challenge Cup, while he recently supervised the team in the first leg of their African Nations Championship (CHAN) qualifier against Burundi. 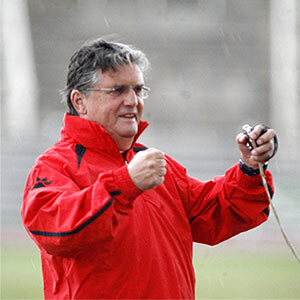 According to FKF’s acting vice-chairman Robert Asembo, the body hopes to appoint Michel’s long-term successor in January next year. “The current position that our national team is at in worldwide rankings is definitely not flattering and that is why we are working hard to ensure that we change the tides. We are looking for someone who will help steer the team back to the right path and we hope to make the announcement in January 2013,” said Asembo. The Stars are currently preparing for the home leg of their CHAN qualifier against Burundi, to be played on 5 January.